One of the most popular ski resorts with Japanese and International visitors for a good reason. 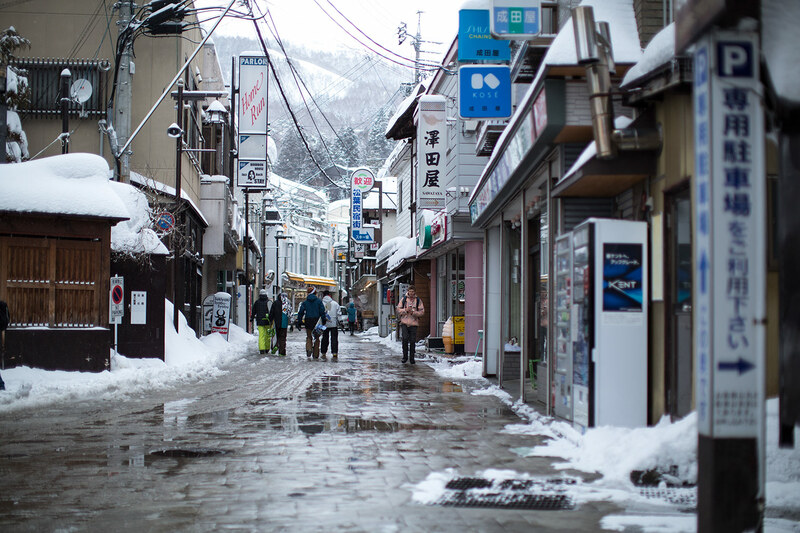 Whilst skiing came to Nozawa Onsen over 100 years ago, the ancient village long predates this and as such has retained a really traditional feel. Lit by lanterns at night, the village has a mazy feel to it with picturesque cobbled streets, lined with small restaurants, shops, Ryokans and bars. The mountain has a great mix of endless quiet piste runs, suitable for all ability levels and great tree skiing and off piste terrain. 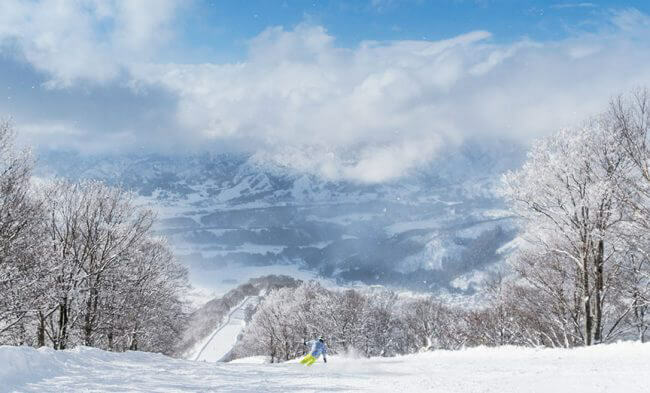 Located in the Nagano region on the main Japanese island of Honshu, Nozawa can be combined with time in Hakuba and / or Myoko resorts with good transport links between the three resorts during peak season. A whopping 10 to 12m of snow per season. 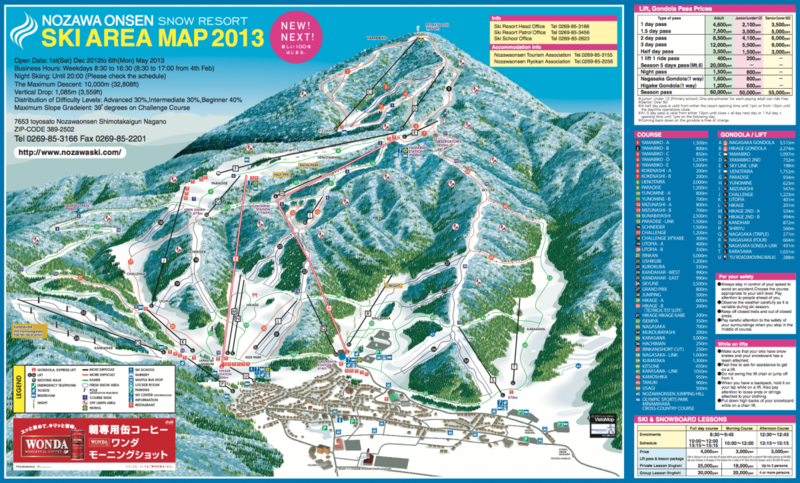 Ski Lessons available in English. 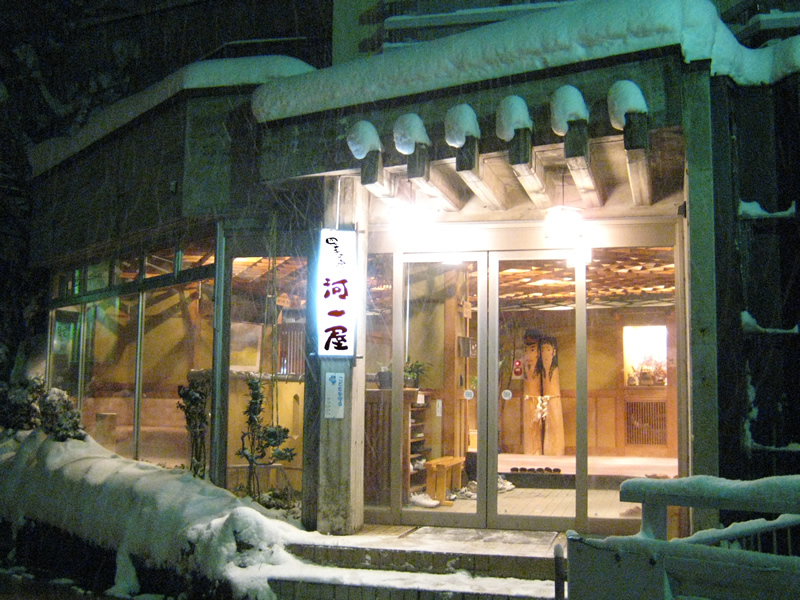 The 300 year old Nozawa Onsen Dosojin Matsuri is sacred festival tradition, held on 15th January every year to pray for health, good fortune and abundance for the coming harvest. 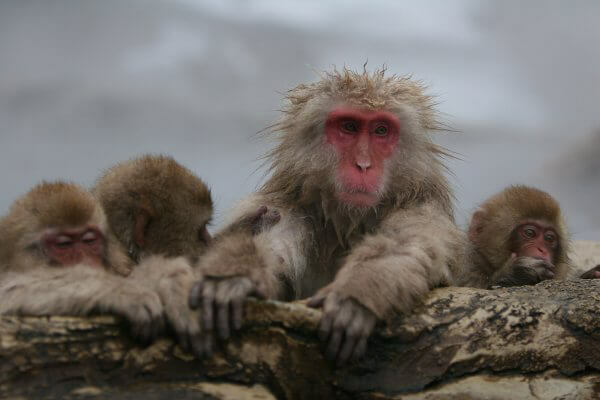 The festival has been designated as an intangible cultural property of Japan. 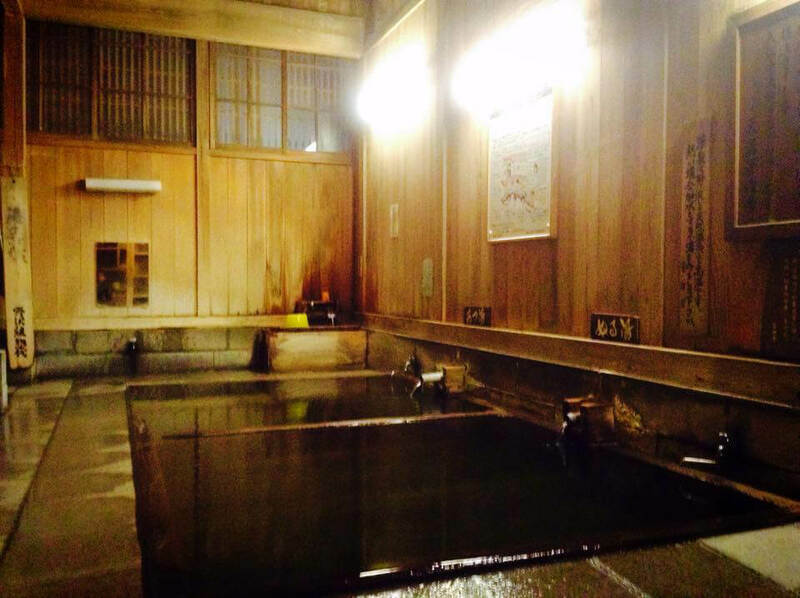 Nozawa has a fantastic mix of hotels and traditional Japanese Ryokans to cater for travellers of all budgets. 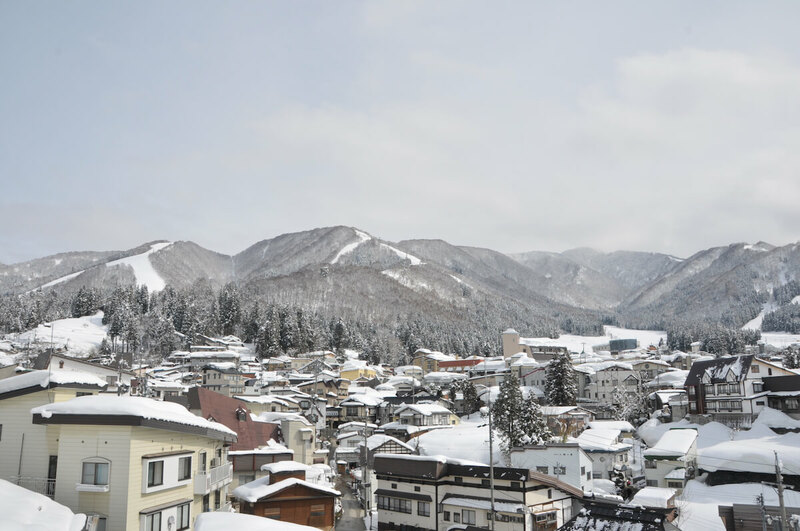 Whilst skiing came to Nozawa Onsen over 100 years ago, the ancient village long predates this and as such has retained a really traditional feel. Lit by lanterns at night, the village has a mazy feel to it with picturesque cobbled streets, lined with small restaurants, shops, Ryokans and bars.